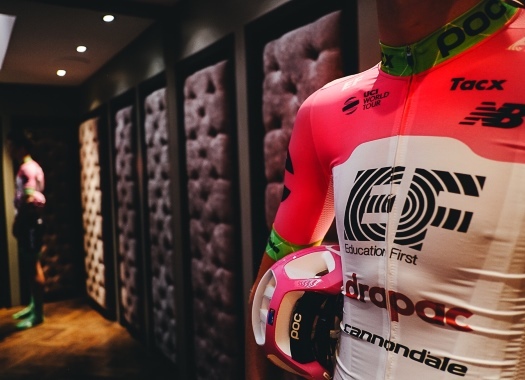 EF Education First has announced the contract extension of Joe Dombrowski. The American rider will stay at the formation at least for one more year after spending the last four seasons there. Dombrowski just closed a season in which the got results like the fifth overall place at the 2018 Colorado Classic and the sixth at the 2018 Tour of Utah. "It’s not a secret that the last couple of seasons have not been what I wanted results-wise," said Dombrowski. "I’m focused on doing what I need to do to get back to the level that I know I’m capable of in races." It was announced earlier on the month that EF Education First will have an alternative calendar that included non-road racing events, something that appeals to the rider. "My first focus is, of course, on the traditional road calendar, but the alternative race program is also quite interesting," the rider commented. "I got my start racing mountain bike and cyclocross. "I still jump in the odd cyclocross race in the off-season and in 2016 I raced Leadville with this team. Cycling's fan base, particularly in America, is a participatory one. It's not the same as the traditional American sports in that sense. Professional road cycling can be quite insular and convoluted. With a participatory fan base, watching races is not what creates a feeling of engagement in the sport. My motivation to race in other events in the past has always been as a fun outlet, but I have also found that they develop a strong connection to the cycling community."